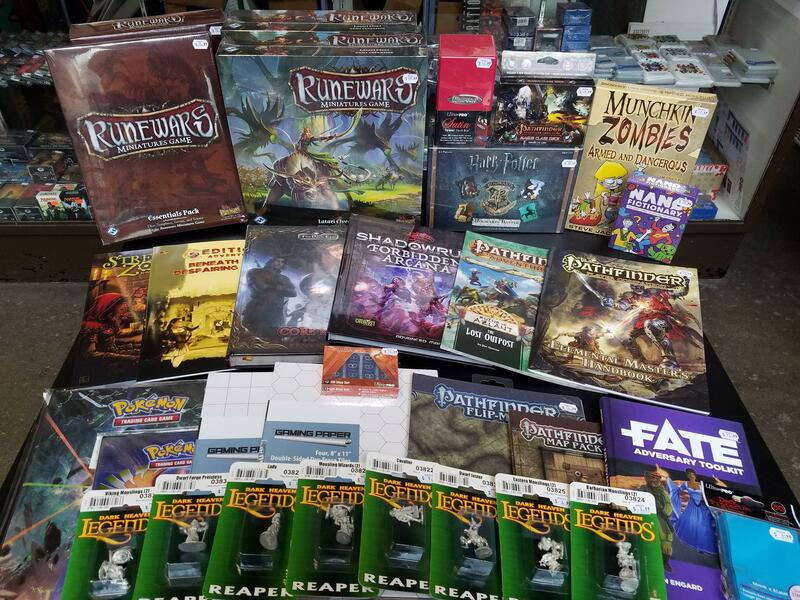 Tons of New RPG Books, Miniatures, Games, and More! Posted: Sat Aug 19, 2017 7:09 am Post subject: Tons of New RPG Books, Miniatures, Games, and More! The new stuff just keeps rolling in this week at Merlyn's. On top of everything else, we've got another batch of exciting items like new RPG supplements for The Dark Eye, Pathfinder, 5th Edition D&D, Fate, and Shadowrun, a new Latari Elves expansion and essentials pack for the Runewars Miniatures Game, new card and board games like the Harry Potter Hogwarts Battle Deck-Building Game, Nano Fictionary, and Munchkin Zombies 2: Armed and Dangerous, new miniatures from Reaper, and more! Come on down to check out all the awesome new items in store today!